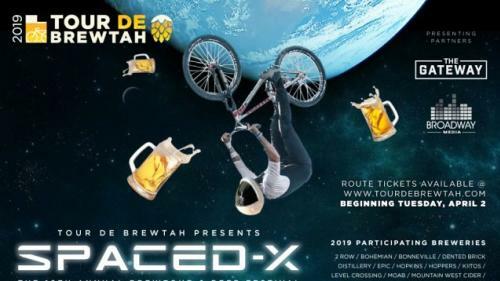 Tour De Brewtah is proud to offer 10 unique brewtour routes which launch from & return to The Gateway in downtown SLC on Saturday, May the 4th from 10:30am–7pm.This year we are proud to partner with & feature 28 local craft breweries, distilleries & cideries. Our 2019 brewery partners include: 2Row, Bohemian, Bonneville, Dented Brick Distillery, Epic, Hopkins Hoppers, Kiitos, Level Crossing, Moab, Mountain West Cider, Park City, Proper, RedRock, Roha, Roosters, Saltfire, Saltflats, Shades, Squatters, Straptank, Talisman, Templin, Toasted Barrel, Uinta, UTOG, Wasatch and Zion.Route tickets available at www.TourDeBrewtah.com beginning Tuesday, April 2 - quantities are limited!For folks unable to participate in the ride, don’t fret! 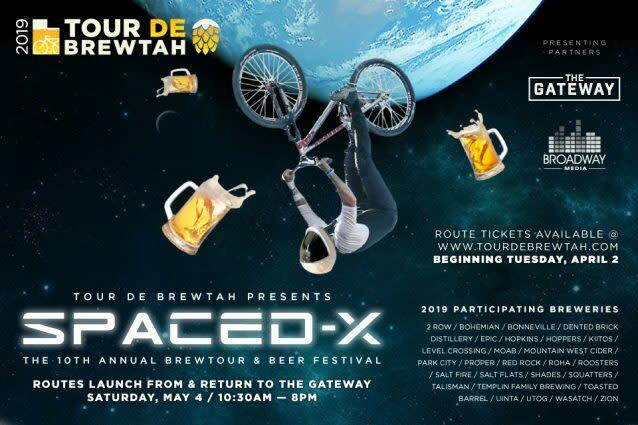 New for 2019 is our “Tour De Brewtah Local Beer Festival” at The Gateway from noon to 7pm, where we bring all of our participating locally brewed products together for the public to sample.The festival is all-ages & free admission so patrons can bring their families to enjoy all that The Gateway has to offer, including live entertainment, food & drink, arts & crafts & the water fountain. An afternoon of entertainment for everyone!In addition, Tour De Brewtah & Broadway Media are proud to partner and donate a portion of the event proceeds to Leukemia & Lymphoma Society.